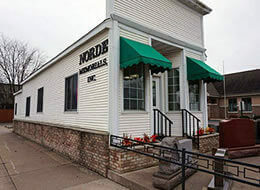 The Wisconsin Memorial Group has 4 locations in Northern and Central Wisconsin for your memorial and monument needs. Please choose one of the locations nearest you to get more information and directions. 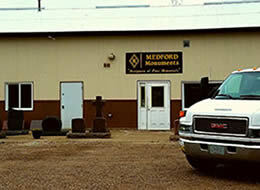 We have been providing families the most beautiful, high quality, and distinctive memorials. Through out the years we have maintained a family owned tradition of personal and caring service to each and every one of our customers. We welcome you to see our beautifully landscaped display so you can see the exact monument of your choice, not a picture in a catalog. Browse through our many unique designs and beautiful diamond etchings in our photo gallery. Albert Schneider started Schneider Monument as Schneider–Rossow Monuments in 1935. 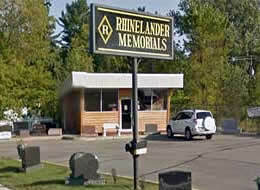 Located in Shawano, Wisconsin, Schneider Monuments provides Shawano and surrounding counties with memorials of distinctive beauty and fine craftsmanship. Later in 1957, Albert's son, George, joined his father in the operation of the business. 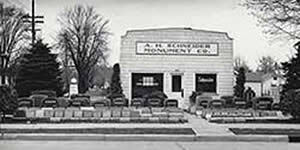 In the early 1990s, Schneider Monument acquired two other locations, Rhinelander Memorials and Medford Monument, expanding their services to all of northern Wisconsin. 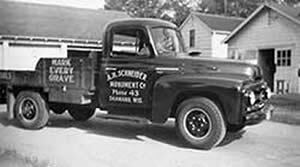 75 years later, Schneider Monument is in the same location. The present owners, Dan and Lisa Kretschmann, proudly carry on this tradition with over 40 years of experience in virtually every aspect of the business. They produce every monument from start to finish themselves, so you can be sure that your monument will be handled and crafted as if for a member of their own family. 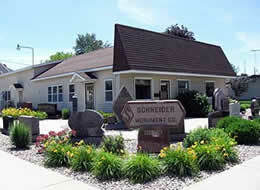 This pride and caring attitude is what makes Schneider Monument the easy choice for your memorial needs. Schneider Monument is proud to be an upstanding member of both Monument Builders of North America (MBNA) and the regional Wisconsin Association Monument Builders (WAMB), staying on top of the latest technology and maintaining your confidence as a reputable monument dealer. All of our business are a Better Business Bureau Accredited Business with an “A+” rating! This means that we meet all the BBB Standards of Trust so you can be assured that you’re getting the best possible service and reliability when you choose our professional services. © Wisconsin Memorial Group. All Rights Reserved.